Ford: Europe Is The Answer! - Cars! Cars! Cars! Would love for the Mondeo to come to the U.S.? It's a beautiful looking car. Here's the thing: Ford *has* brought several European cars over here, but people don't want them. They think they do, but they don't. Merkur XR4Ti -- aka the Ford Sierra. Best-seller in Europe, flop in America. Merkur Scorpio -- aka the Ford Granada. See above. Mercury Cougar -- A near-exact duplicate of the version sold in Europe. Too harsh and noisy for American tastes. 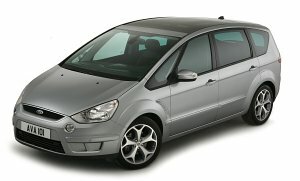 So far the only European Ford that has had any real success over here has been the Ford Focus. Other examples: The VW Golf. The BMW 318ti. The Mercedes-Benz C-Class wagon. Mazda6 hatchback. All cars that are big hits in Europe, but Americans just don't want 'em. Just like Europeans don't particularly want VW Jettas or Toyota Camrys. They want cars like the Nissan Primera -- another car that was sold over here (Infiniti G20) and didn't do particularly well for the lack of a gas-sucking V6 engine. Fact is, the American and European markets are just too different -- that's why American and Japanese automakers develop unique cars for both markets, and why mainstream European marques that don't develop products specifically for the USA -- Renault, Volkswagen, Peugeot, Volvo, etc. -- never achieve the same sort of sales numbers here. Is it really necessary to to use the crude language. It does not sound if your are very well educated. I doubt you could find a job with Ford at any level. Clean up your act!